A total of 330 Solihull properties reported flooding after torrential rain swept through the region earlier this year, the council has confirmed. As the weather “wreaked devastation” 192 actually had water enter their home, with multiple calls to the emergency services and those worst affected having to evacuate. A further 75 households reported their garage flooding, while 63 had problems in their garden or grounds. In addition, there was a surge up the canal network, the feeder system at Earlswood Lakes was overwhelmed and a number of key roads became impassable. The details were included in a presentation, made to a council scrutiny board, about the events of May 27 and the authority’s subsequent response. Cllr Tony Dicicco, cabinet member for the environment and housing, said that residents’ first-hand accounts showed how “horrific” flooding could be. “To have more than a month’s rainfall in one day, or a couple of hours, is very difficult for any sort of system to cope with that amount of water,” he said. Following the floods, some residents had raised concerns about the impact of new housing developments with Laura Yates, whose Shirley property was flooded, suggesting that the additional buildings “wouldn’t have helped”. The council said it had been assessing these schemes as part of its post-mortem. Cllr Tim Hodgson (Green, Shirley West) said that while a “huge amount of work” has been done in the aftermath, he believed the council could have been better prepared, noting that there had been problems in the past. “[It hasn’t helped] that the Environment Agency has been cut back so much in recent years,” he said. He called on the council for a commitment to do all it could and for pressure to be put on MPs to secure more support. Cllr James Butler (Con, Blythe) said he sympathised with residents, having previously lived in Nethercote Gardens – one of the roads worst affected. “I think the situation that you faced was extremely difficult and slightly different from how it has been before … it happened in minutes. 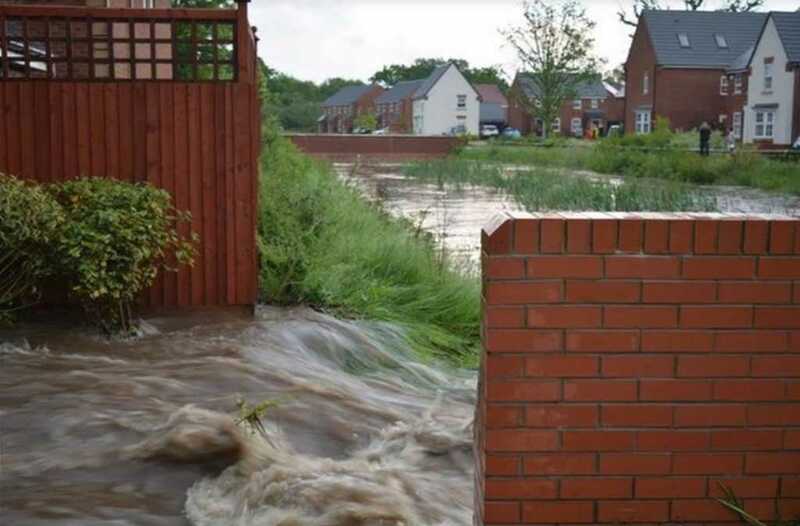 Outlining the problems reported, council officer Edward Bradford said: “In rural areas water was seen to flow straight off surrounding fields and flood properties. Small watercourses that feed into the River Blythe and the River Cole quickly became overwhelmed. Since May he said the council had visited hundreds of properties to offer support and had assessed the road network. It has also been investigating the impact of features such as ponds and culverts. The rain on the Bank Holiday Sunday had fallen in a narrow corridor, with torrential conditions engulfing Solihull, Stratford-upon-Avon, Bromsgrove and Birmingham. One rain gauge recorded that 89mm (more than three inches) of rain fell in two hours. In Solihull, the worst affected wards were Shirley West and Blythe, where around 250 of the cases were recorded.